OSSI variety [Frank Morton of Wild Garden Seed] Lacinato's treasured taste, plus many shades of red and purple in the stems and leaves. As with other red-tinted greens, color is most vivid in cool weather. 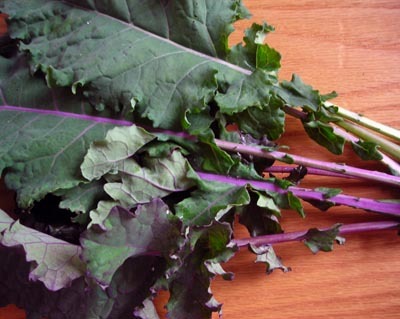 Created by crossing classic Lacinato with Redbor hybrid kale; this variety is now also extra-cold-hardy because the 2014 seed crop went through a -6°F freeze, and seed was saved from the plants that survived!